The Encore at Reunion is your personal paradise. The community features a luxurious clubhouse fully appointed with lots of amenities its own Aqua park multiple golf courses to chose on site and less its than 10 minutes from Disney. WHY would you live anywhere else! Feast your eyes on this spectacular newly built high-end home located in the world renowned vacation-home resort of The Encore at Reunion. Nestled in the middle of pure peacefulness sits this exceptionally fully furnished 5496 Sq Ft 11 bedroom 10 bath 2 car garage home on THE best lots facing the water slides of the Aquapark. The floor plan is functional and comfortable whilst boasting fantastic upgrades throughout including beautiful tiled floors in the formal living and dining rooms. There are lots of bedrooms to choose from with master suites on both the main floor and second level.The possibilities are endless when entertaining your family and guests The galley style chefs kitchen is fully appointed with stainless steel appliances granite counter tops 42 inch wood cabinets over looking the living room and swimming pool views so you never miss out on a moment. THE Encore at Reunion IS your personal paradise. 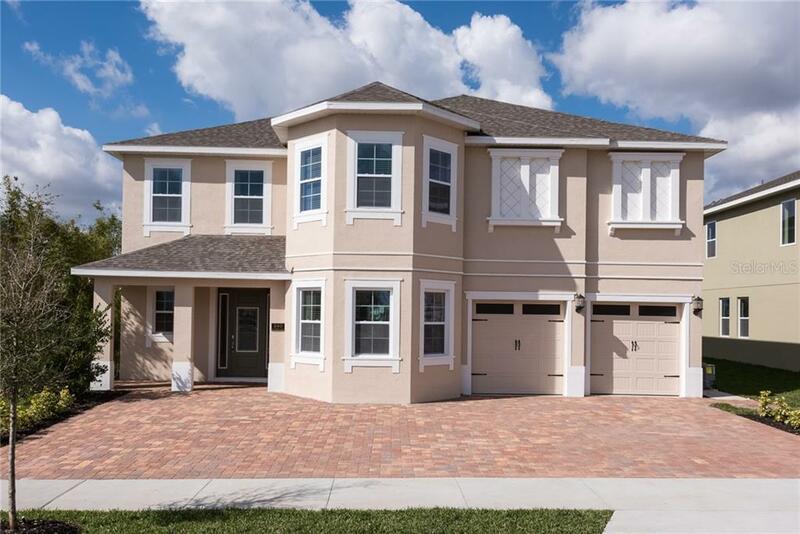 The community features a luxurious clubhouse fully appointed with lots of amenities its own Aqua park multiple golf courses to chose on site and less its than 10 minutes from Disney. WHY would you live anywhere else?